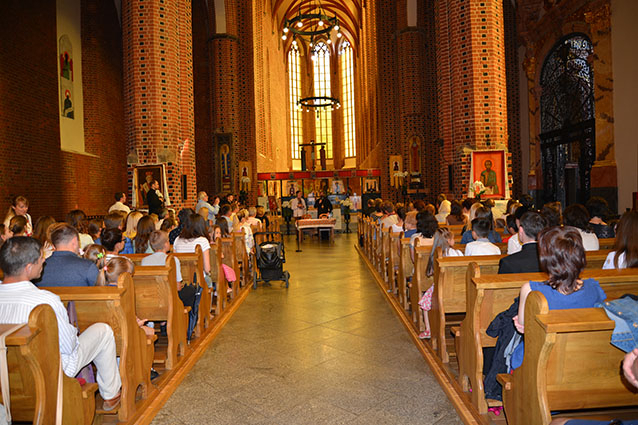 On Saturday, June 2, 2018, a meeting of the Permanent Synod of the UGCC with the youth took place in the Cathedral of the Exaltation of the Precious and Life-Giving Cross of the Wroclaw-Gdańsk Eparchy. At the beginning of the meeting, the Moleben’ to the Blessed Virgin Mary was headed by Bishop Volodymyr (Yuschak), the Ruling Bishop of the Eparchy of Wroclaw-Gdańsk. 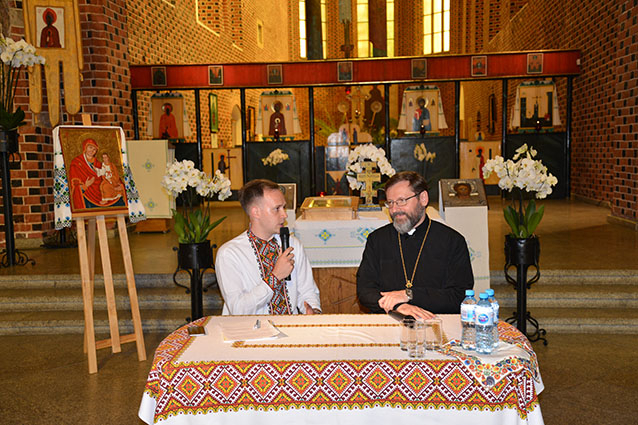 Thereupon a sincere, unrestrained conversation between the Father and the Head of the UGCC with the youth took place, during which His Beatitude Sviatoslav answered numerous questions of the young people who were present in the cathedral. In particular, he called on them to be themselves, to remain faithful to their spiritual and national roots. "From the experience of our diaspora one can say that only one who was in the Church remains himself," said His Beatitude Sviatoslav. Others, in his opinion, "got lost due to rapid assimilation processes." The Father and Head of the UGCC stressed the importance of teaching the Ukrainian language to their children and conveying the holy faith, because this will help them to remain with their roots. Since the phenomenon of mixed interethnic marriages is widespread in Poland, His Beatitude Sviatoslav asked Ukrainians not only to preserve their faith and culture, but also to share their spiritual wealth with other people. In conclusion, the Archbishop urged young people to seek God in all circumstances of life, especially in the difficult moments of loneliness, spiritual oppression and various kinds of difficulties. 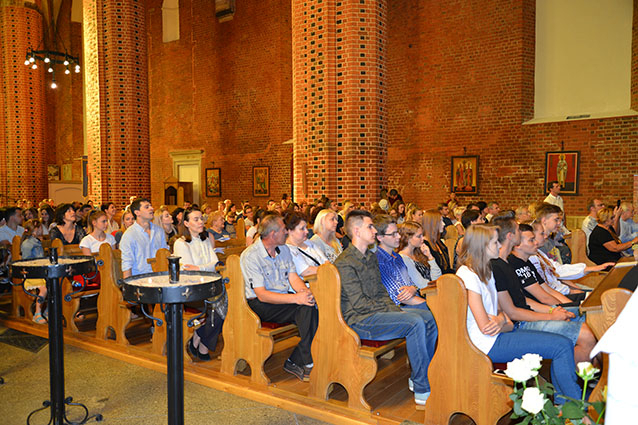 Among the young people and parishioners of the cathedral, who spoke, a particularly deep impression on the audience was created by the testimony of Ms. Natalia, an resettler from Luhansk region who spoke about her path to God and how she found her national and Christian identity through the meeting with the Greek Catholic Church in Ukraine . While in Wroclaw, she continues her spiritual experience as an active parishioner of our local community.